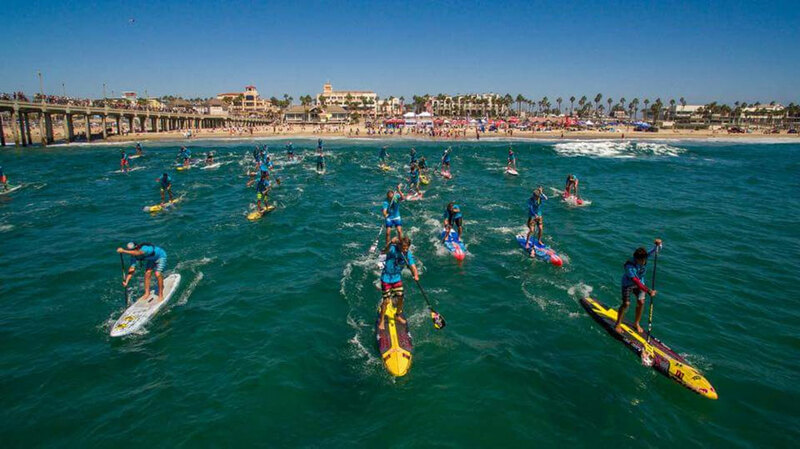 Kai Lenny (Naish) put on a dominant performance in today’s Long Distance, powering off the start, and breaking away to establish a solid lead amidst the World Class fleet in attendance, a lead he would ultimately maintain to the end to take victory in today’s Race. Currently tying for first place on the Overall World Rankings, this convincing win on the first day of competition will certainly strengthen Kai’s confidence going into Day 2, but also looking ahead to the World Series Finals at Turtle Bay in 2 weeks time. 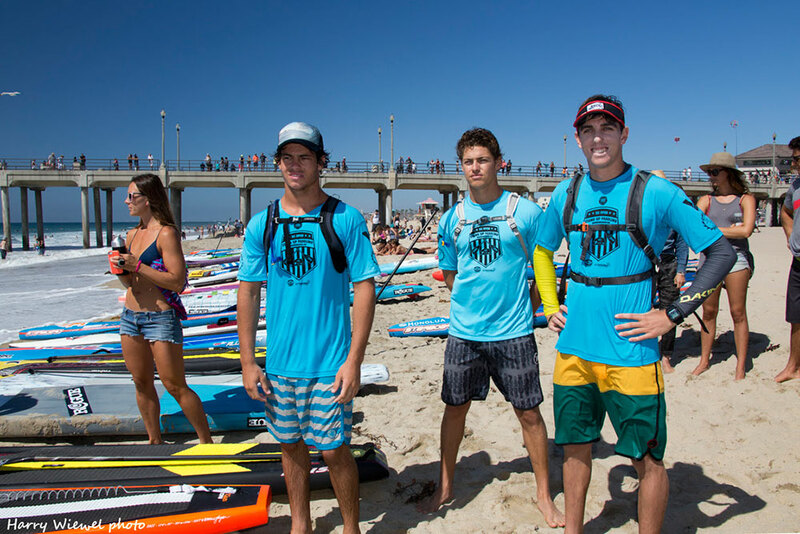 In 3rd place, was the current tied ratings leader & 2014 World Champion Connor Baxter (Starboard), who had a solid start, but saw Kai Lenny and Mo Freitas edge away from him early on the race, a gap he wasn’t able to close before the race’s conclusion. However, given the extent of Connor Baxter’s skill, he will be back tomorrow for redemption, to shoot for the win in the World Series Sprints to be able to regain the ratings lead prior to the World Series Finals at Turtle Bay. Candice Appleby (Infinity) continued her unbeaten roll today on Day #1 of the World Series, with another dominant performance in the long distance race. Candice paced herself and steadily increased her lead through the race, maximizing her time on the bump and powering her way through the upwind legs to take the win. 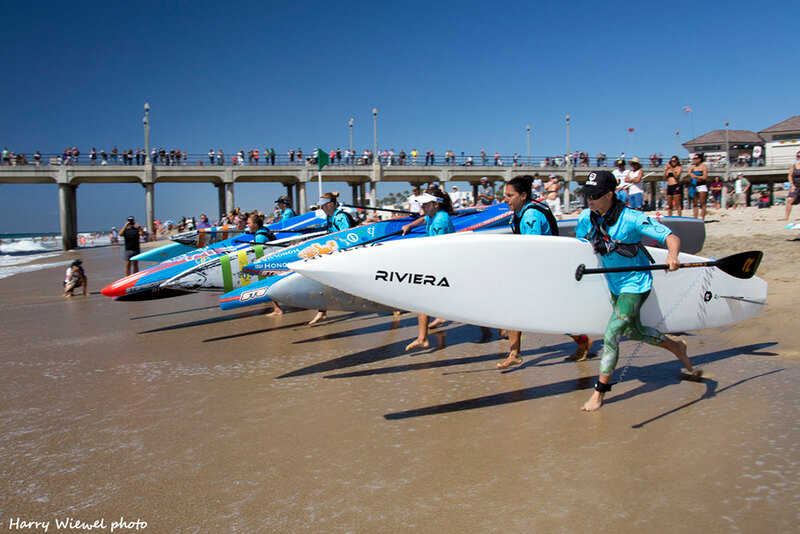 As one of the World’s leading Surfers, she will be feeling confidant coming into Day 2 of this World Series stop, with surf racing being one of her strongest suits. 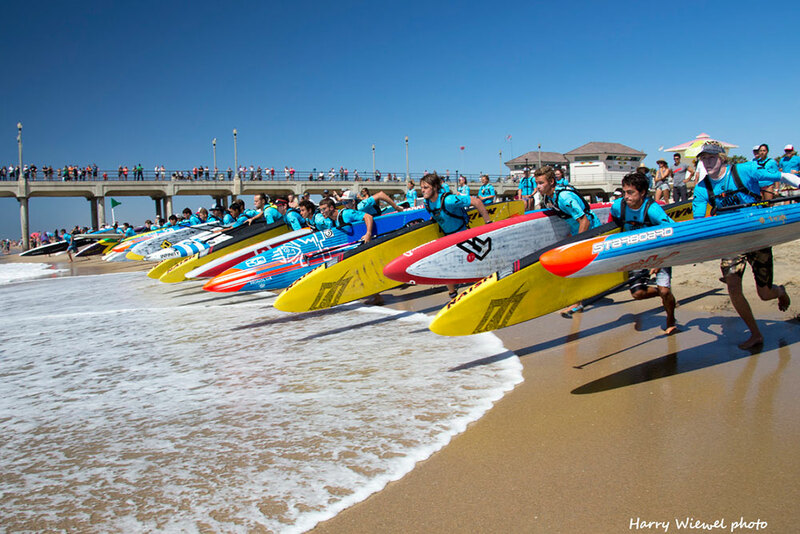 If Candice secures her 3rd win of the season here in Huntington, she will secure the World Title right here in Huntington Beac in advance of the 2015 World Champion in advance of the World Series Finals at Turtle Bay. 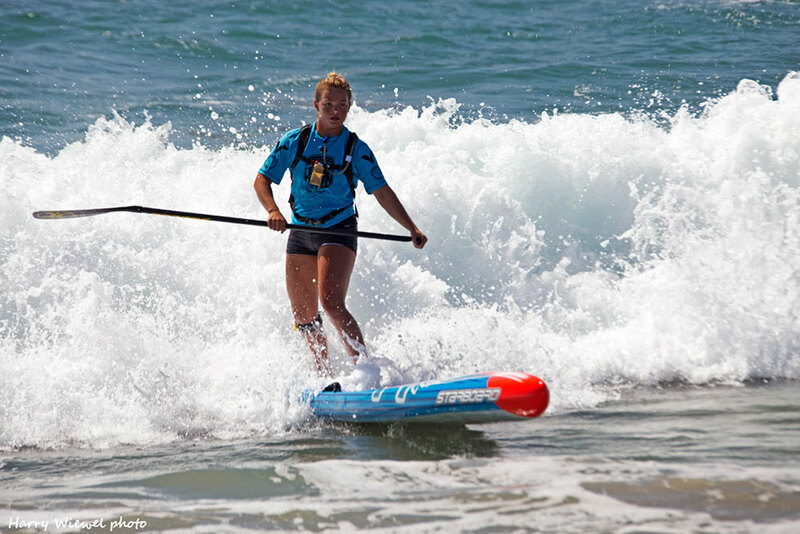 Fiona Wylde (Starboard) put on an impressive performance in today’s race, taking 2nd amidst a stacked field of athletes, further strengthening her stature as one of the leading new faces in the Stand Up Paddle Racing world. 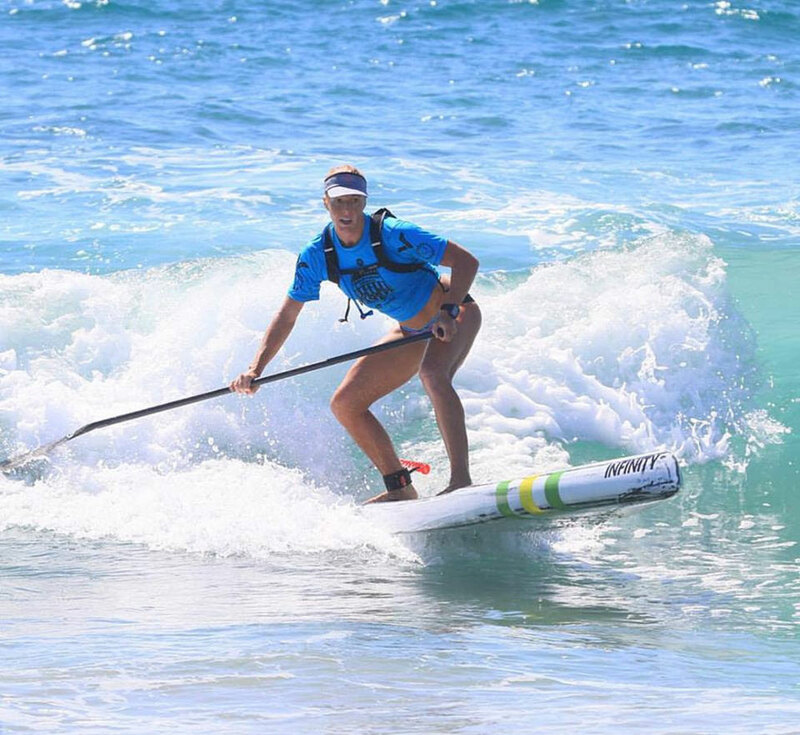 In 3rd place, another World Tour Surfer Shakira Westdorp (Starboard) who just finished 2nd in the World overall for 2015, showed that like Fiona, she is a serious double threat, and will only feel more confidant coming into the final day of World Series Sprint Racing in the surf tomorrow.